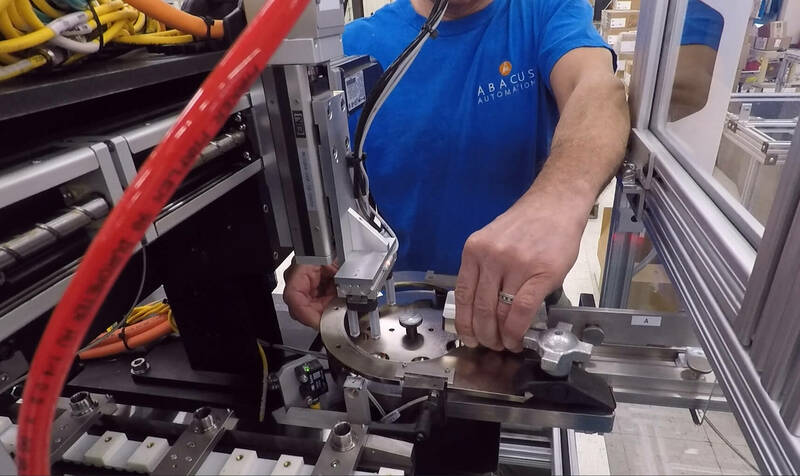 Showcase – Abacus Automation, Inc.
Abacus Automation has delivered turn-key manufacturing automation solutions for over 30 years. 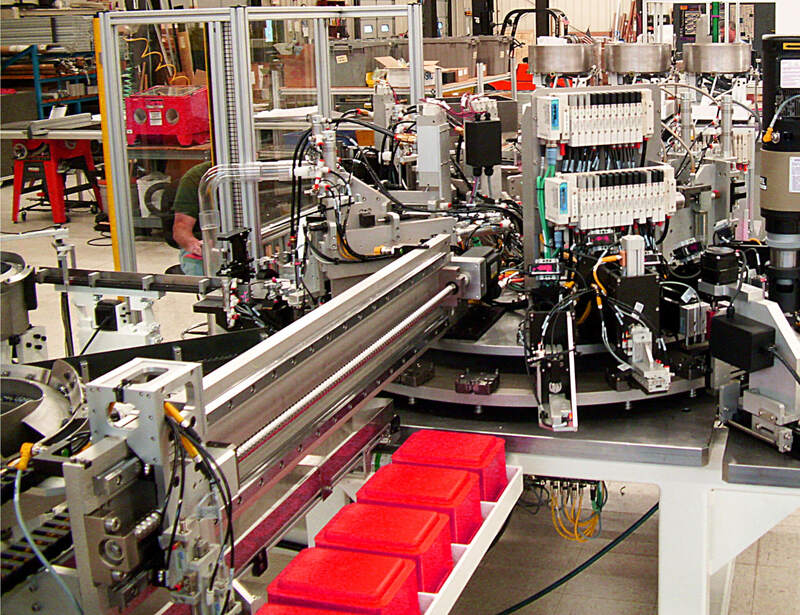 We provide the entire development and production process, from inception to delivery. 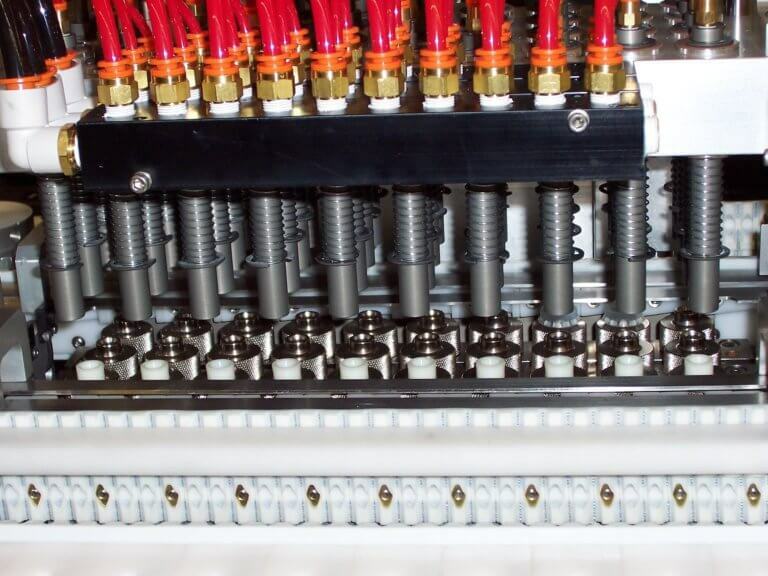 Our customers satisfaction is paramount for each step in the process. For over 25 years, we have built machines for a very diverse group of select people that we are very fortunate to call our customers, which range from different specialty markets such as medical, aerospace, military, consumer, cosmetic, food, manufacturing, automotive, and many more. 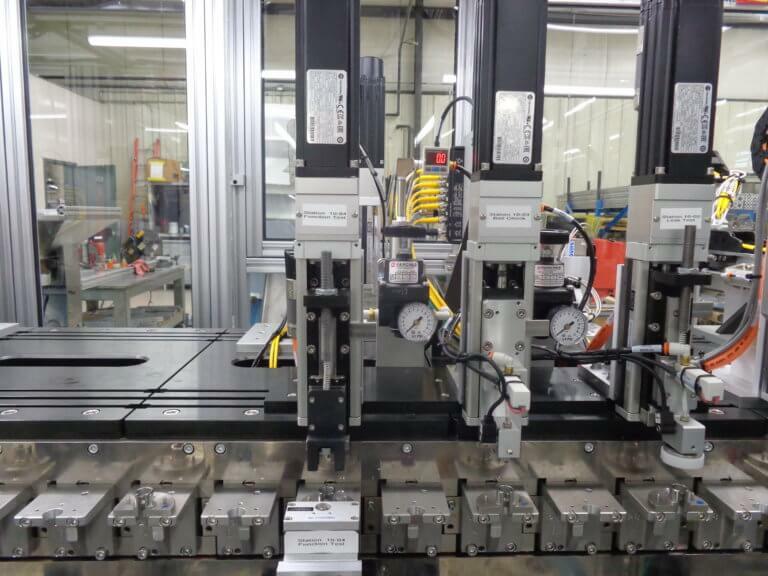 Here is a cross-section of our customer lineup. From delicate, cosmetically critical plastic to red-hot steel, Abacus has stepped up to the challenge of building mechanisms for manipulating and assembling a wide array of parts. 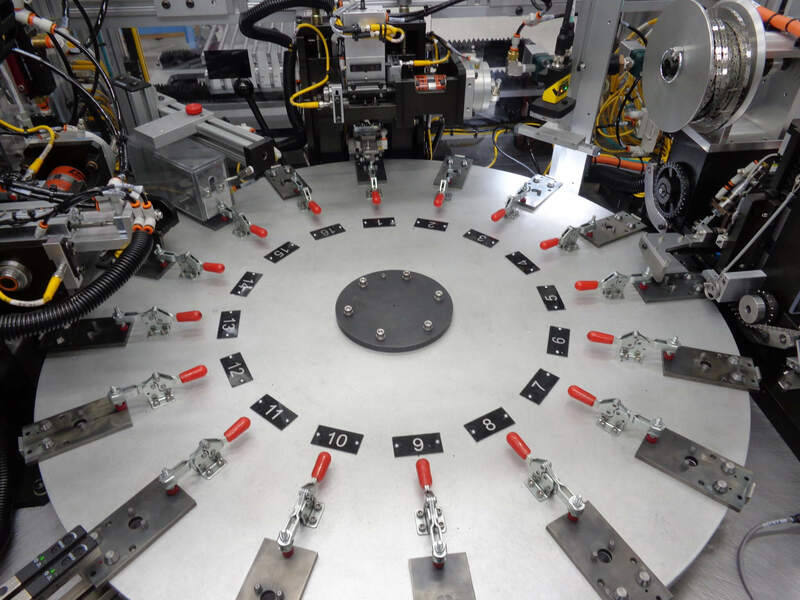 Synchronous precision chain indexers, non-synchronous pallet conveyors, rotary indexing dials, walking beams, and continuous motion equipment all make up our catalog of potential solutions for your product. 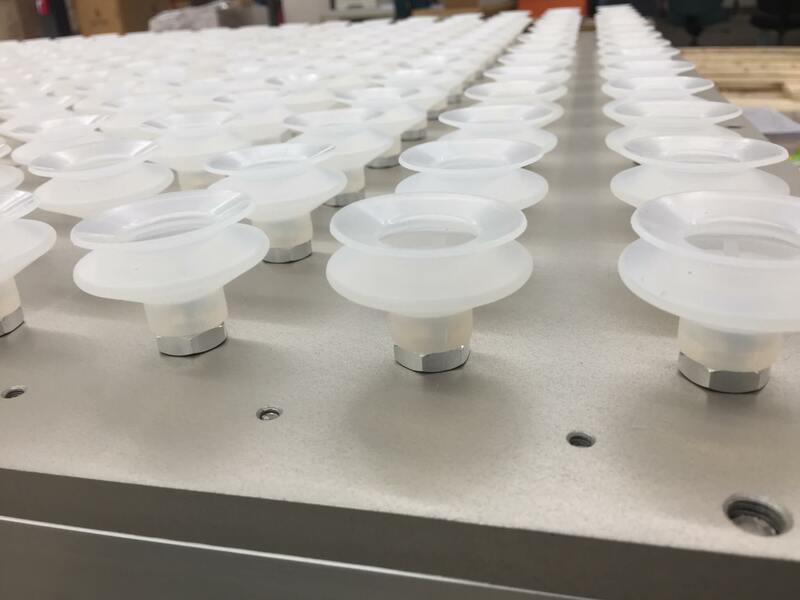 A singulation station for small parts to be fed in parallel for assembly. An array of parts are loaded and oriented in this secondary process. An infeed station with immediate vision inspection and reject of bad product. 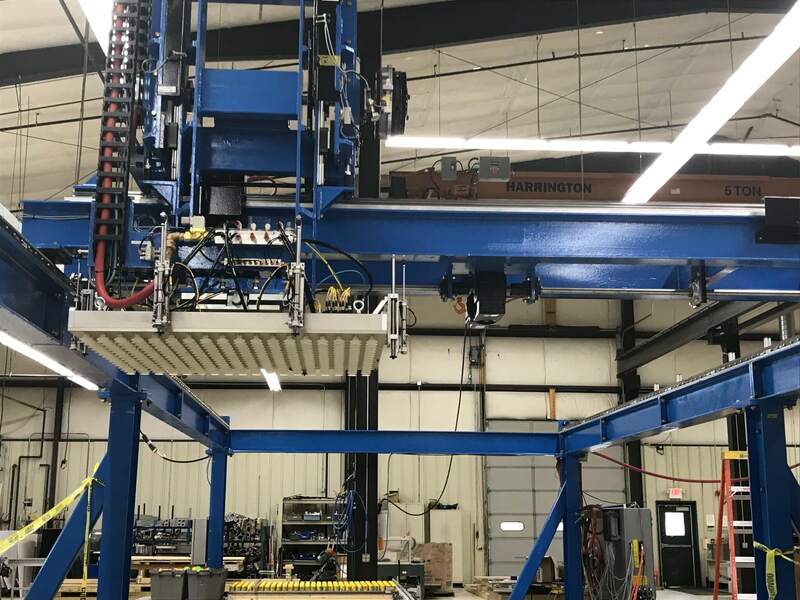 A vision guided roller press head is positioned to almost touch the part. An assembly machine with individual reject bins for different failure modes. 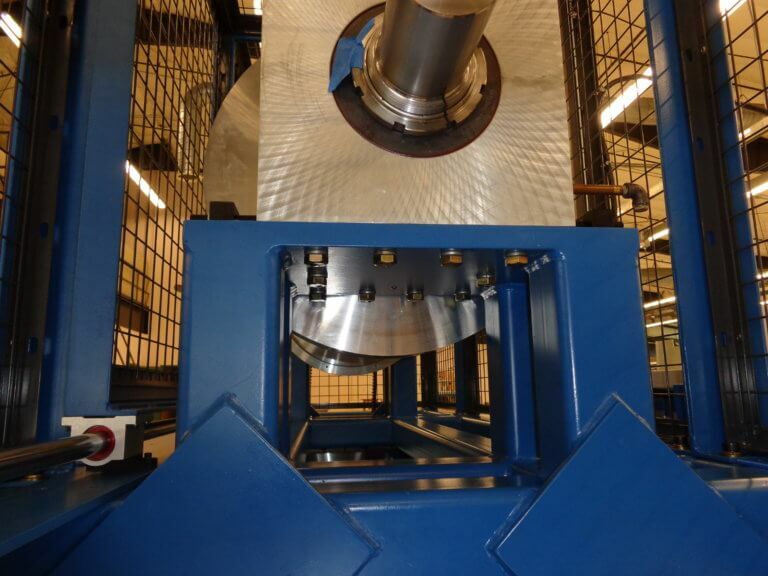 An indexing dial conveys brittle parts through a double press process. Mandrels for feeding and forming various types of tube. 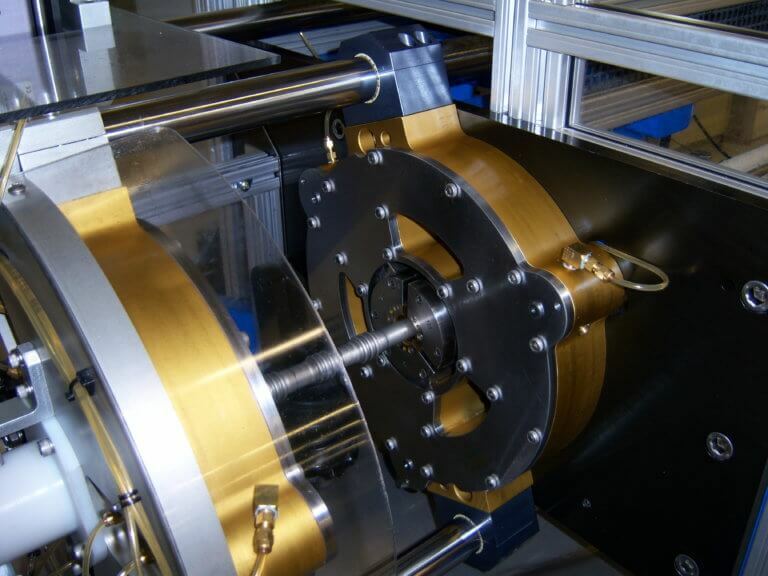 A continuous dial with rocker cam activated pneumatics. A Kawasaki robot collects and sorts layers of small boxes. 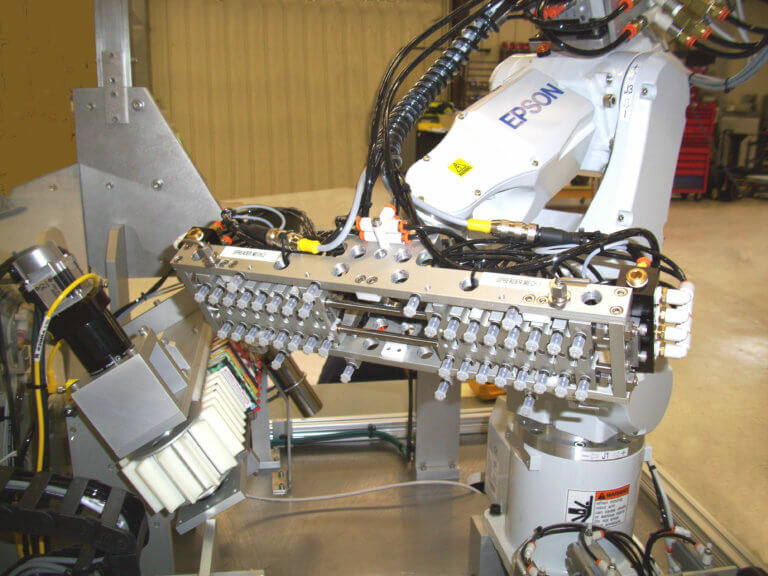 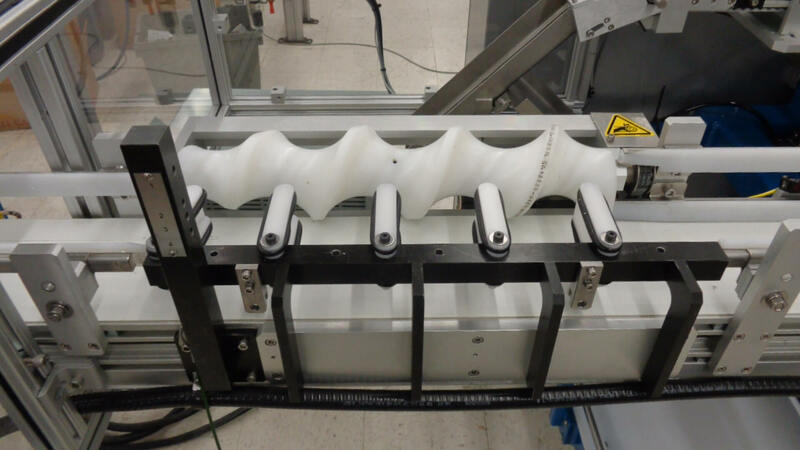 An Epson robot with vacuum end-of-arm-tool for handling an array of small parts. 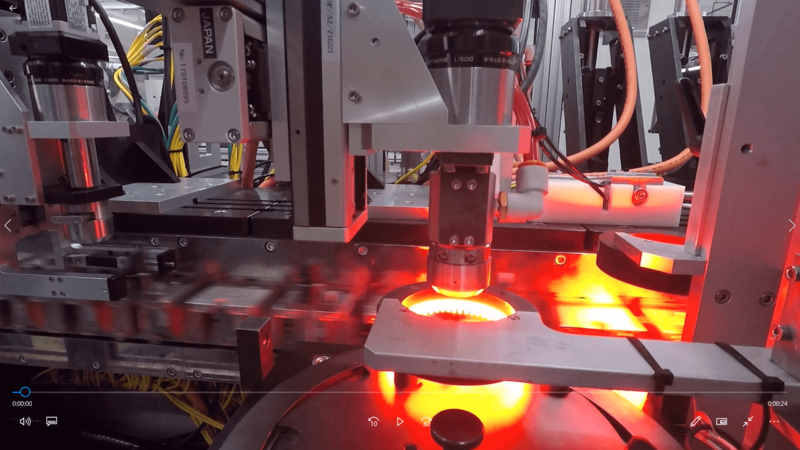 A robotic part transfer for red-hot heat treated product. 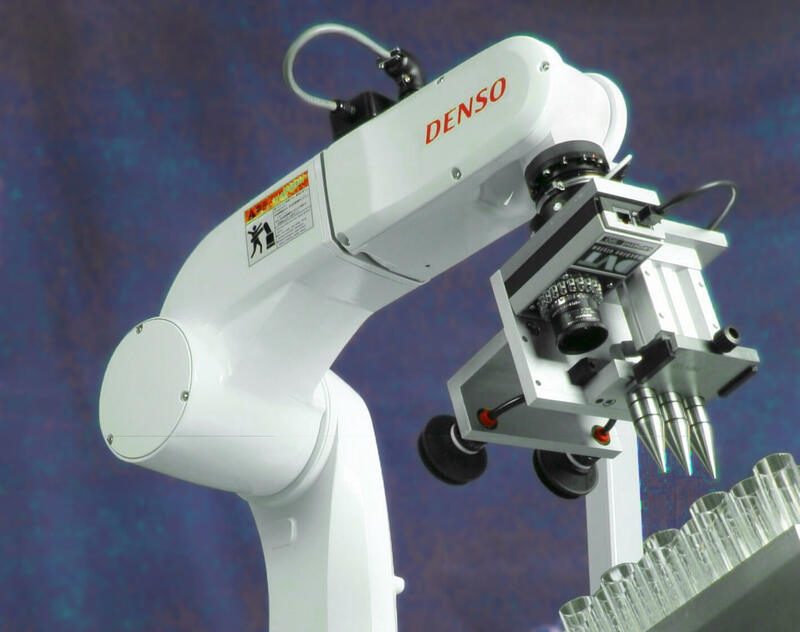 A DENSO robot with vision system is used for picking delicate product. 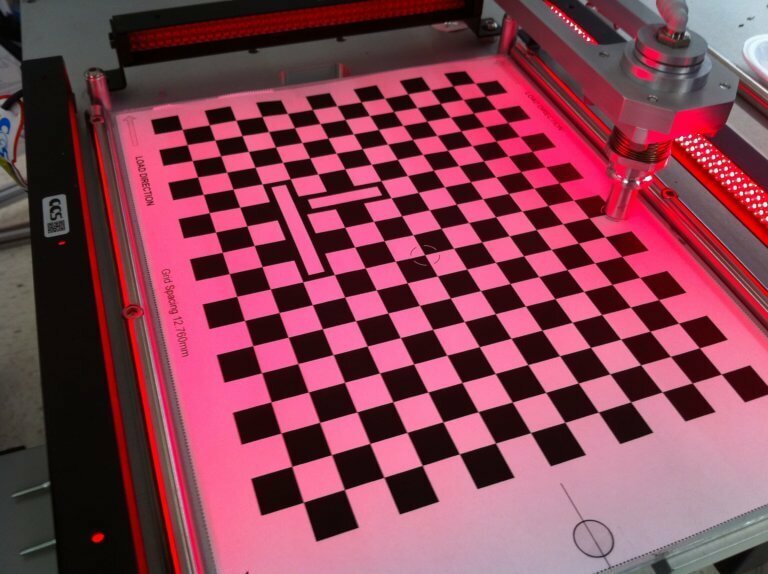 A calibration tool is used to precisely orient a vision system in real-world coordinates. 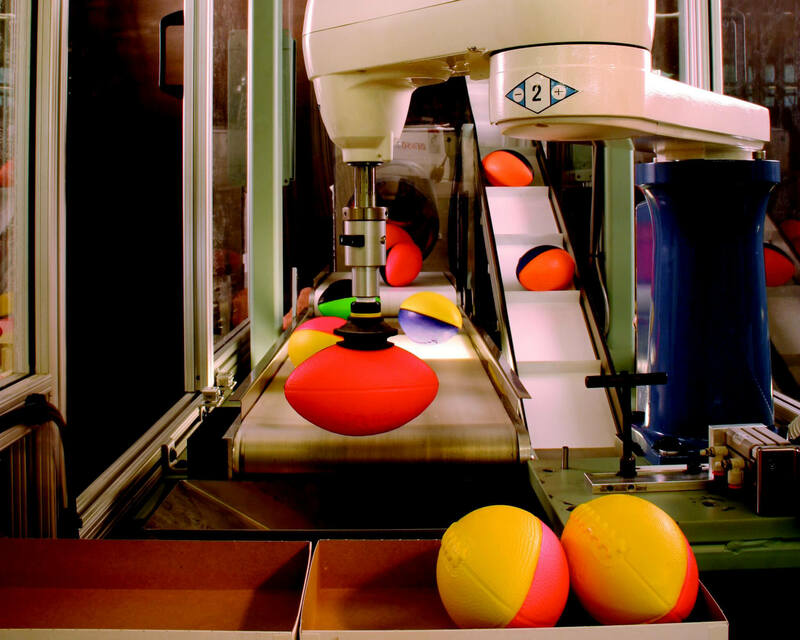 A vision-guided robotic pick and place system. Abacus has integrated a variety of different systems to work in concert for a diverse array of applications. 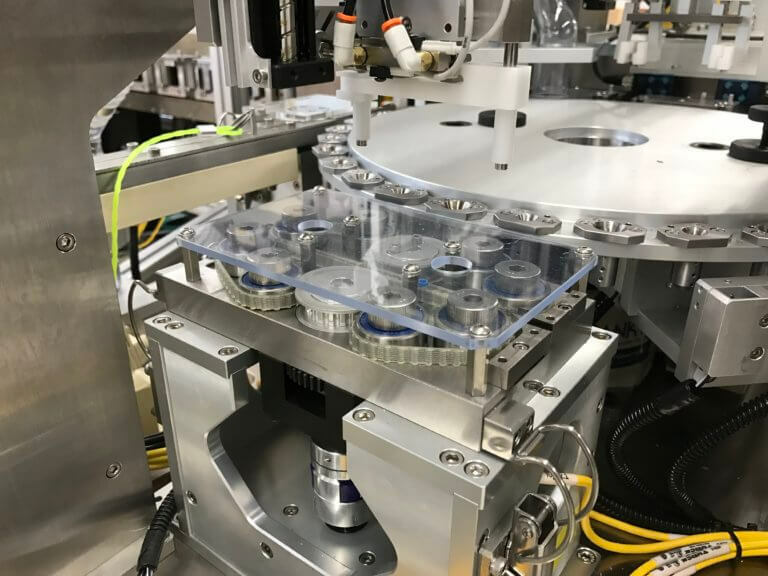 Many of these systems include some combination of robotic work cells, servo motion, vision guided part processing, laser & ultrasonic processing, and fluid dispensing. 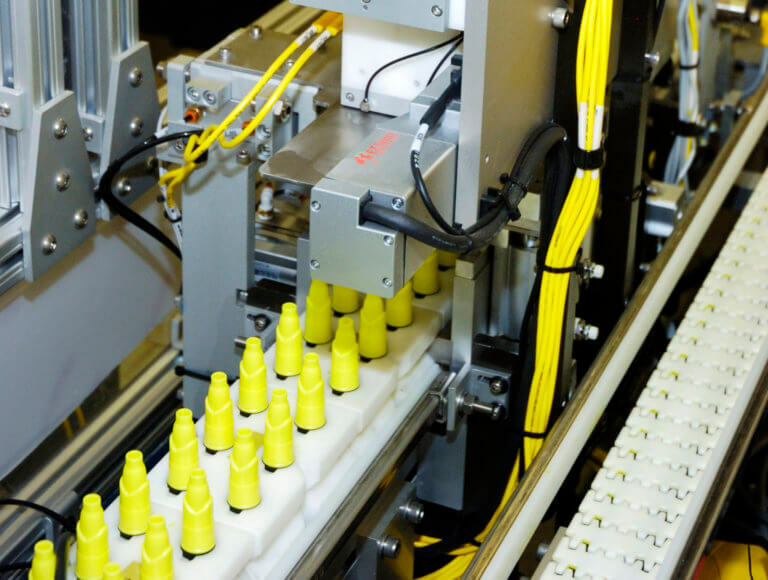 Many of our customers need to verify consistent quality throughout their process. 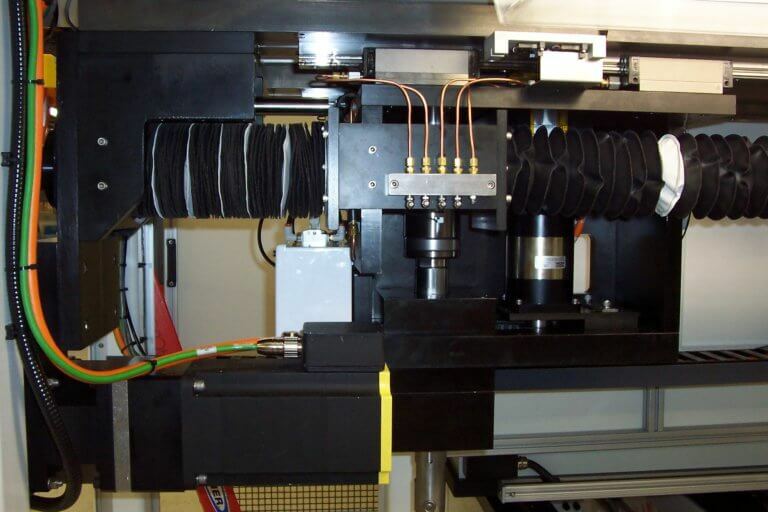 We can ensure correct product is produced with our automation at critical steps in the process through use of test and calibration systems – from leak testing and force monitoring to check weighing or distance measurement. 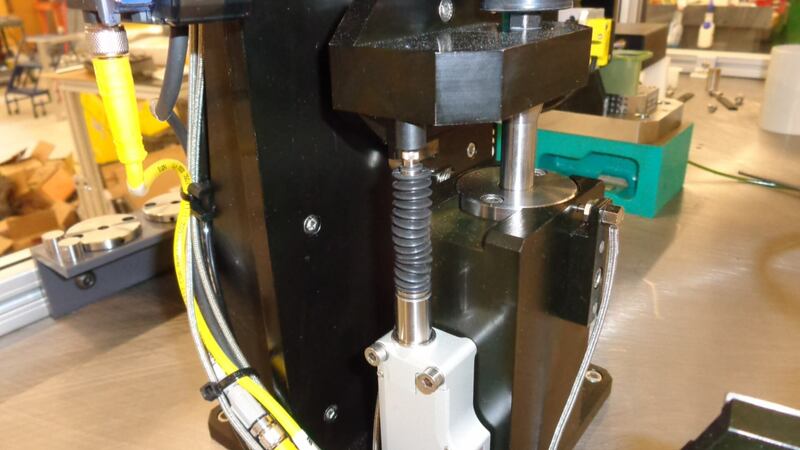 A commercial LVDT is used to verify part height at a high resolution. Testing for a robotic high resolution force feedback system. A rugged horizontal servo press for use in an industrial environment. Custom heavy-duty bearing blocks and machined supports for a large rotational tester. 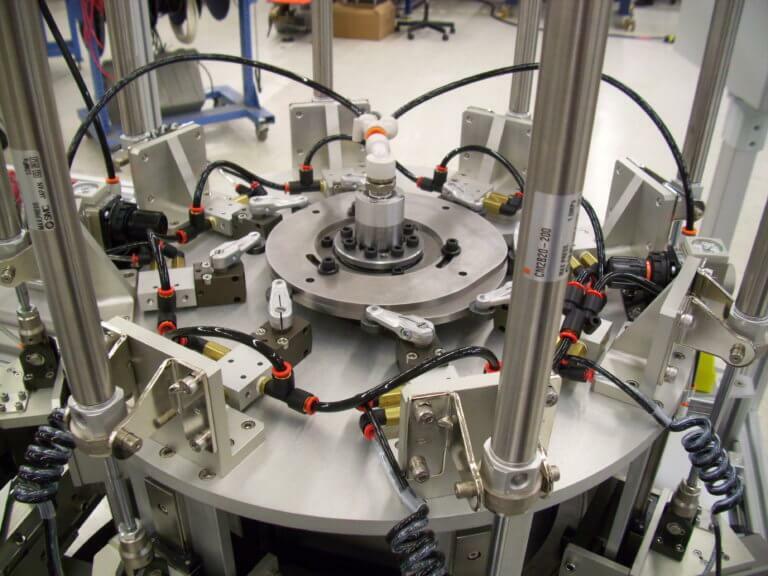 An array of parts are leak tested simultaneously in a high-speed application. 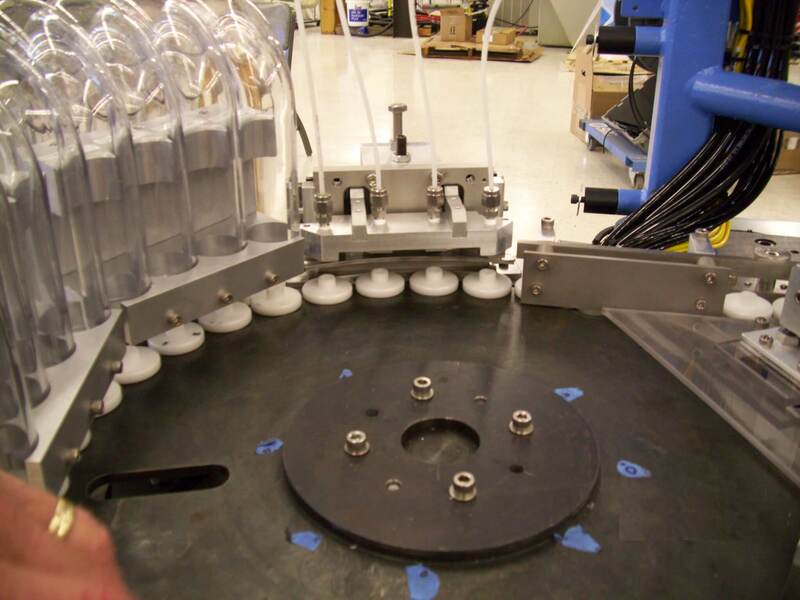 Parts on traveling pucks are presented to a leak test and sorting station. Multiple product checks are performed in a row to verify machine performance. 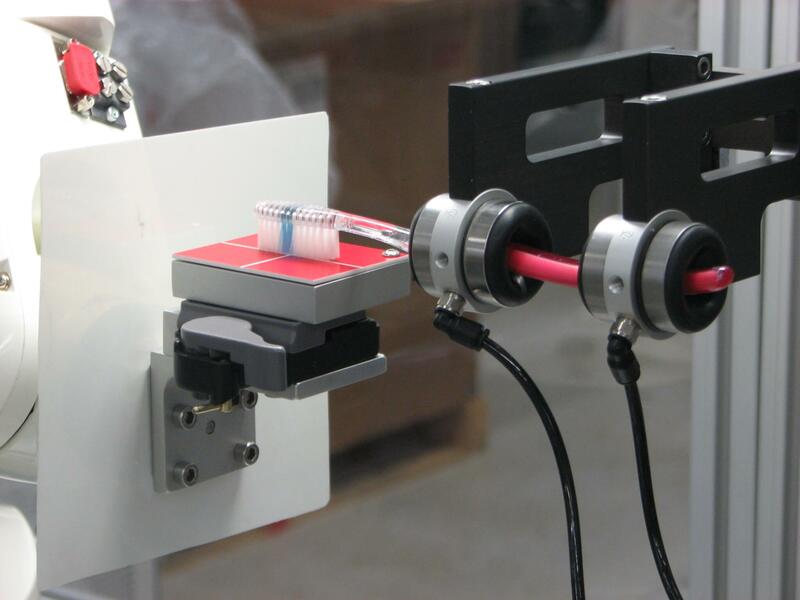 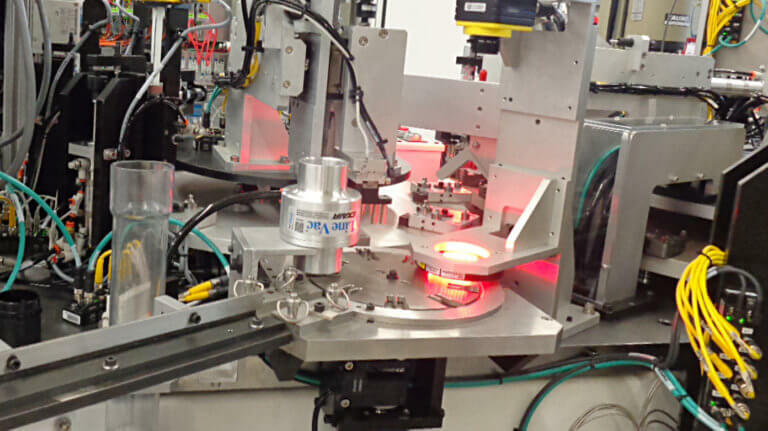 A non-contact 3D laser displacement sensor is used to verify quality of a mold. 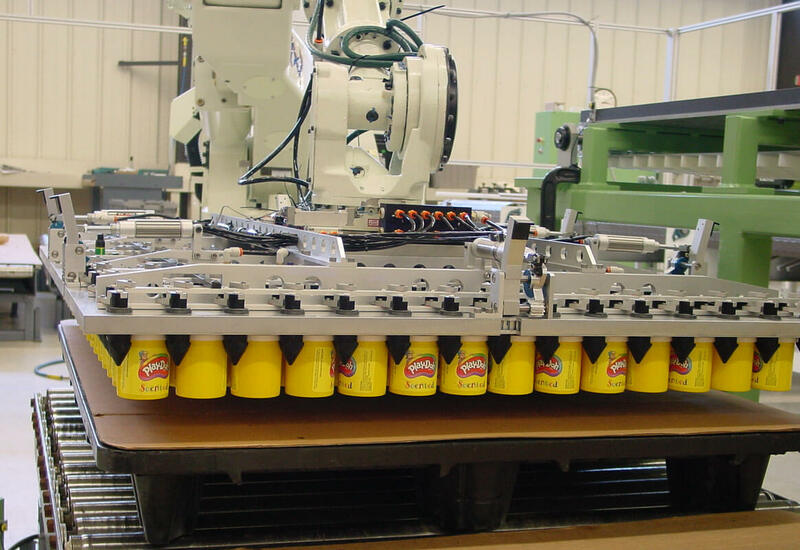 A DENSO robot for box packaging multiple product types. 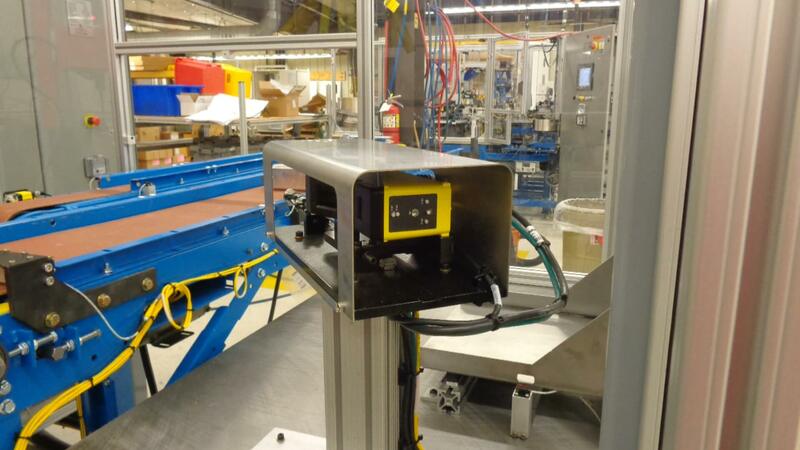 A non-synchronous pallet conveyor for moving product. 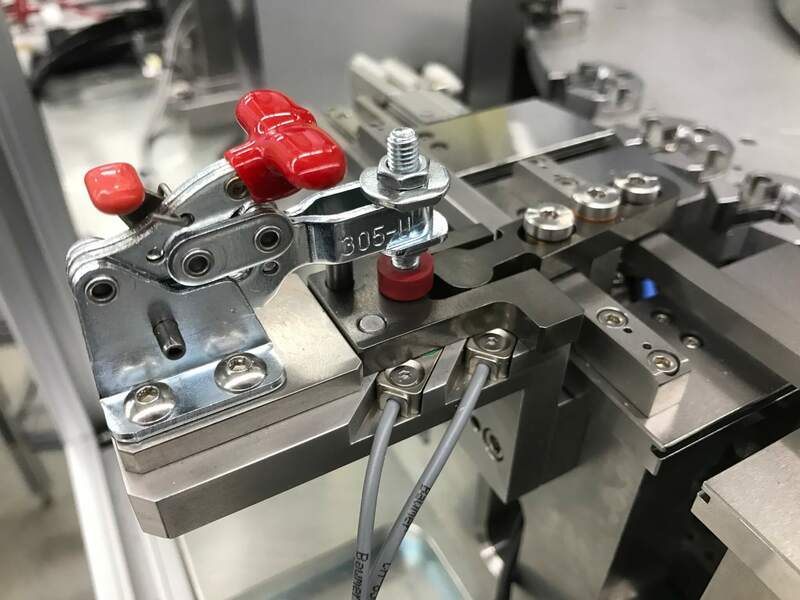 A machine station tooling change is quickly completed. 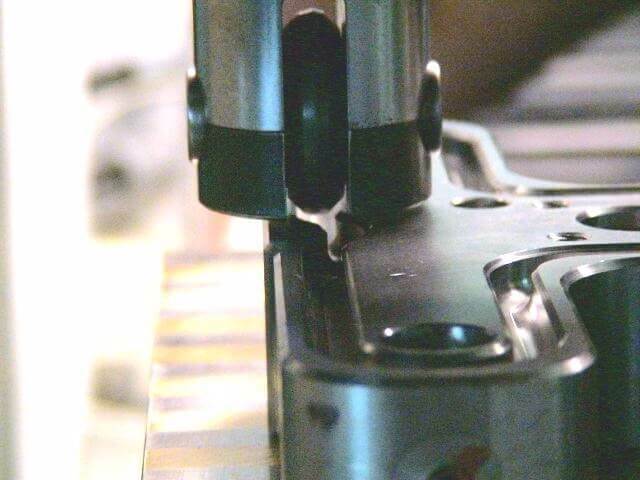 A commercial toggle clamp is used to help retain a custom piece of changeover tooling. 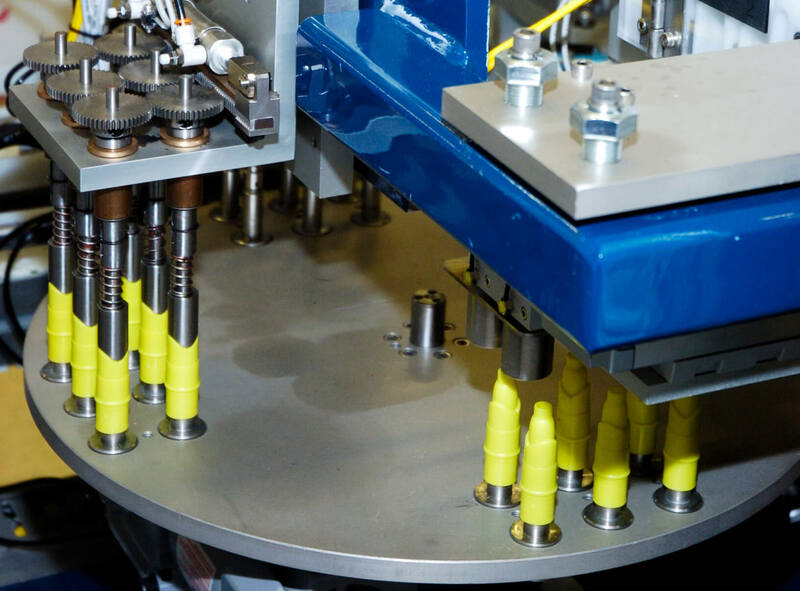 From the initial concept onward, when a need to quickly change between products arises Abacus can provide the necessary design and tooling with our Fast-Change-Out approach. 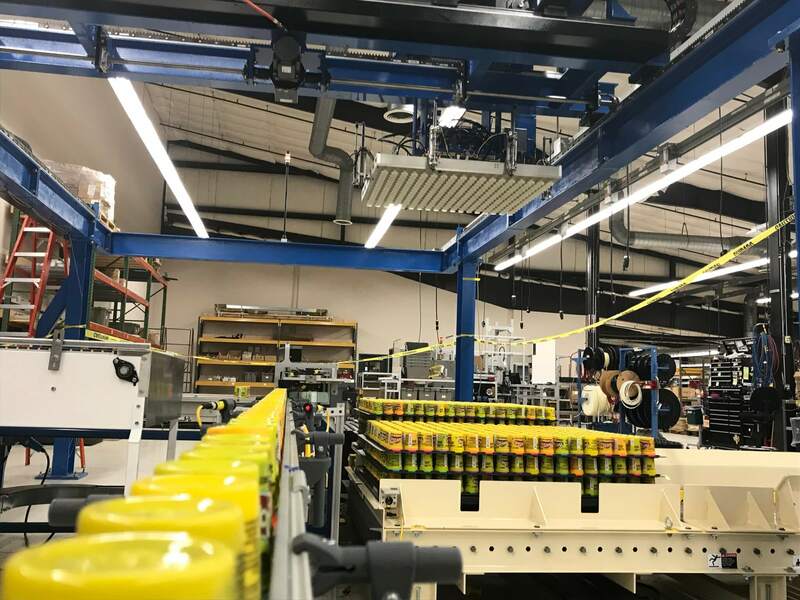 Changeover can be quickly accomplished through product selection on the machine controller, with existing “recipes” of product stored for future use. 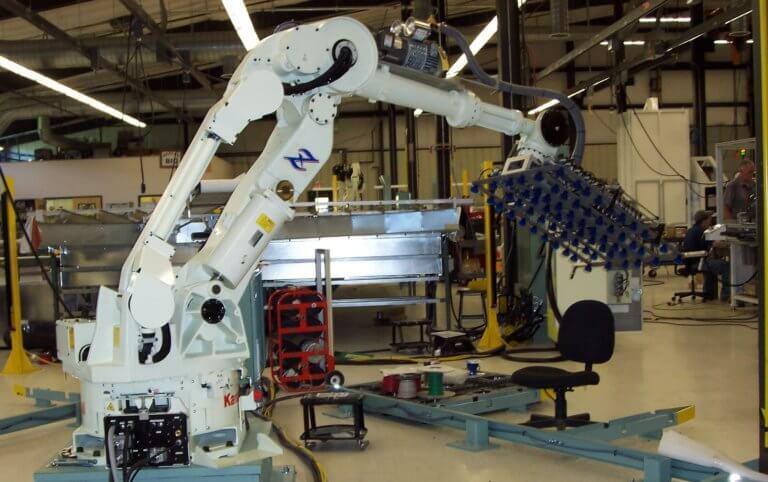 Mechanical tooling is designed to be easily removed and reinstalled as required. Your product may be so unique that an “off the shelf” solution does not exist. 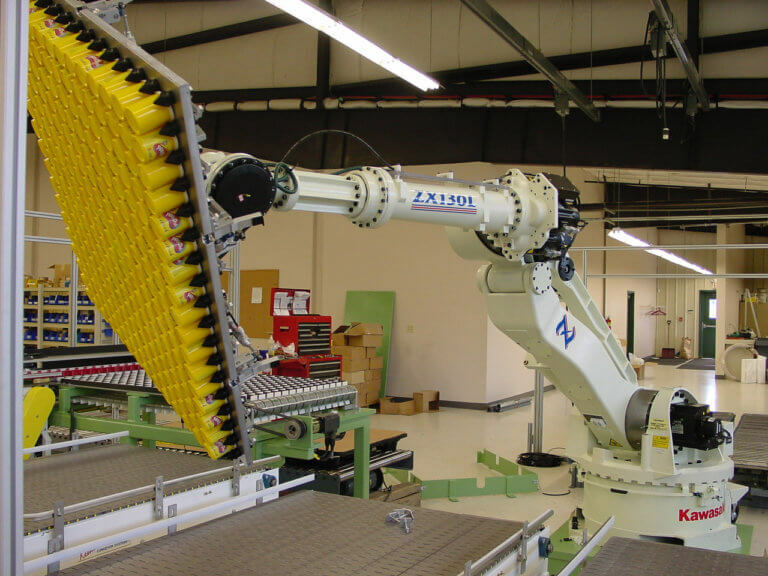 Abacus can custom tailor a system to bring your product out of assembly to organize and package for shipment – taking advantage of our deep library on material handling and palletizing robots. 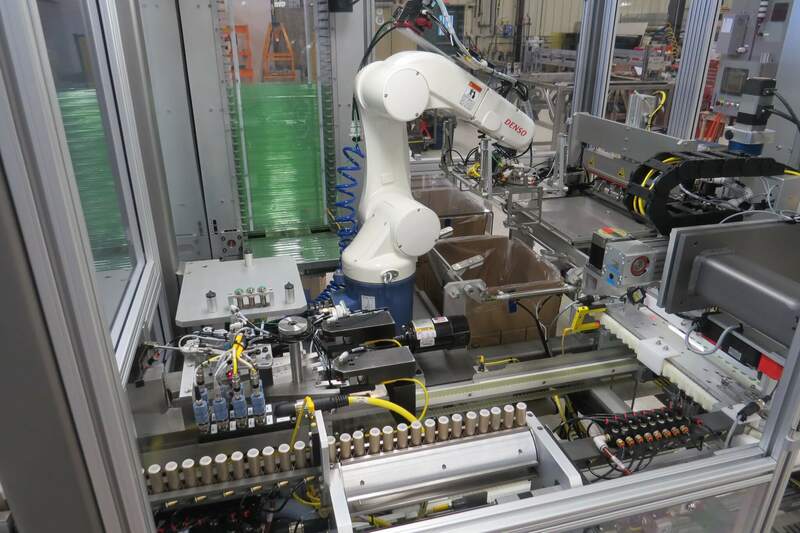 Twin DENSO six-axis robots load customer product into boxes for packing. 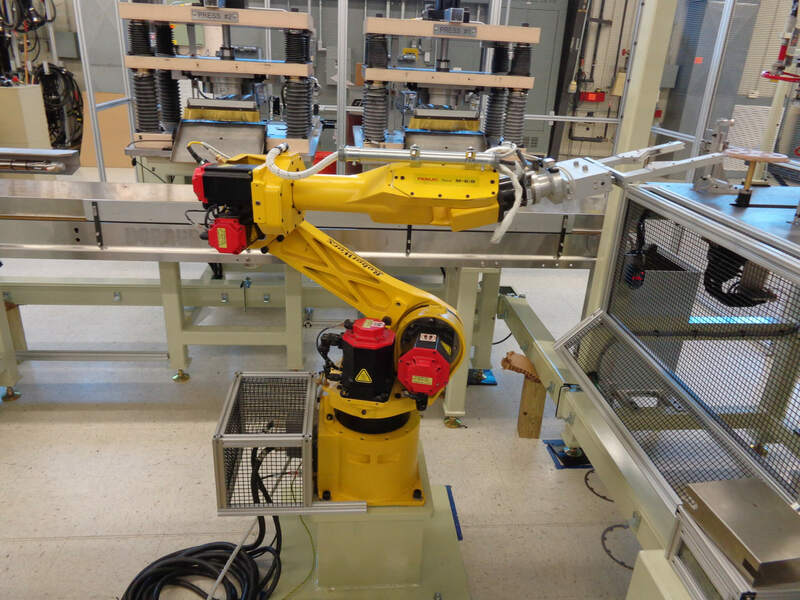 An overhead three-axis gantry robot with large vacuum end-of-arm-tool. Product is conveyed to a collation table for an overhead gantry to palletize. 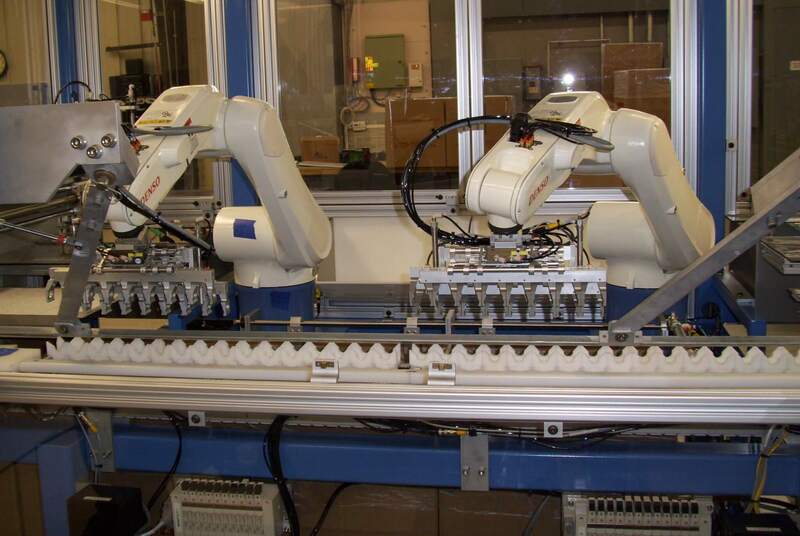 The product is securely held by the robot end-of-arm-tool between pick locations. A timing screw controls incoming product off a continuous conveyor. The robot's special end-of-arm-tool securely holds an entire layer of product.